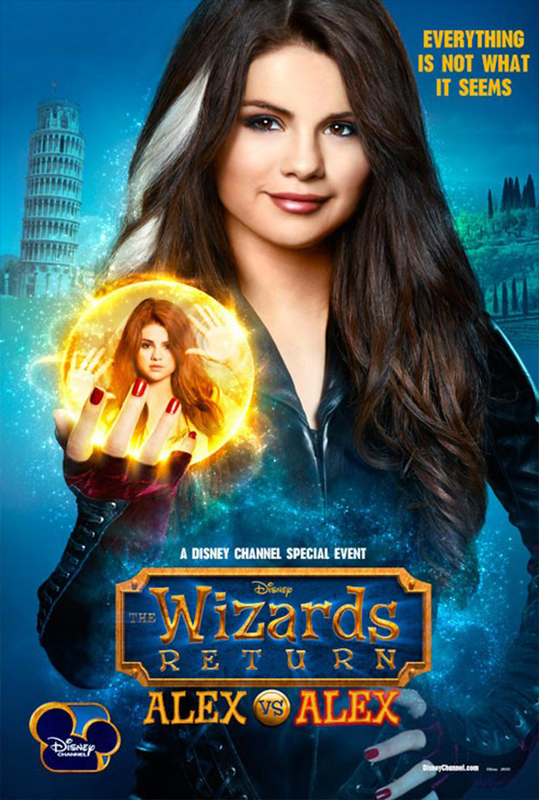 Wizards Return: Alex vs. Alex (television) A Disney Channel special event, aired on March 13, 2013. On the eve of a planned family reunion in Italy, newly crowned Family Wizard Alex Russo is torn between living up to her new responsibilities and totally living it up, thanks to magic. Frustrated, she casts a spell to banish her selfish impulses and accidentally creates an evil doppelganger. Soon the “Good Alex” and “Bad Alex” face off in the ultimate wizard showdown. Stars Selena Gomez (Alex Russo), Jake T. Austin (Max), Jennifer Stone (Harper Finkle), Maria Canals-Barrera (Theresa), David DeLuise (Jerry). 60 min.